Misanthropic TV critic, Charlie Brooker, blew the whistle on a particularly vulgar American TV programme on his Screenwipe review several years ago. Called The Swan, supposed ‘ugly ducklings’ were transformed into ‘beautiful swans’ via painful plastic surgery. Championing a vacuous culture engineered by the desires of desperate women and opportunistic, predatory surgeons the series displayed the very worst parts of capitalism in the States. After spending weeks under the knife, unfortunate contestants were mummified until the grand unveiling which usually led to hysterical reactions from the physically-manipulated guinea pigs and preached the questionable virtues of seeking to be made ‘beautiful’ in an image-conscious world. Towards the East, in a country afforded the genius of Pyotr Ilyich Tchaikovsky’s Swan Lake, the transformation of a football club from Dagestan is still taking shape thanks to regular cash injections from a rich owner and similar concerns have been raised about the true beauty of the project. 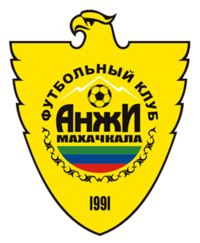 Born an ugly duckling in 1991, Anzhi Makhachkala won the regional Dagestan League in its first season as a living organism and began life in the Russian Second Division upon the nationalisation of the football leagues following the dissolution of the Soviet Union. Dagestan is notable for its ongoing conflicts with the rest of Russia and, like Chechnya, sits uncomfortably under the ruling of the Russian Federation. Previously a region known for its widespread use of Azerbaijani, Dagestani groups seek independence from Russia and high levels of violence have been recorded in the area following the collapse of Communism. Bordering Georgia and Azerbaijan at the foot of the Russian Federation, the Republic is inclined to feel separate from the rest of the country and for the vast majority of its existence, Dagestan’s capital city football club has kept a low profile in the lower divisions. A surprise 4th place in the Russian Premier League was achieved in 2000 and gave the Wild Division a first taste of European football. The game was one-legged and played in the neutral setting of Poland due to security concerns raised by their Scottish opponents, Rangers. Rangers’ 1-0 UEFA Cup win appeared likely to be a rare high point for Anzhi as they only played in Russia’s top tier for two more seasons before relegation banished them to the obscurity of the First Division. In their seventh consecutive season as a second-tier side they were promoted back to the Premier Division and weren’t expected to ruffle too many feathers. An 11th-placed finish in 2010 adhered to such predictions and the Anzhi story appeared predictable enough until Suleyman Kerimov, a businessman reportedly worth $6.5 billion, decided to perform surgery on a club with little history and unloved by a majority of the Russian football-loving public. 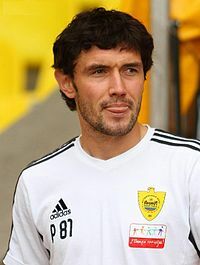 Kerimov took over the club in January 2011 and immediately arranged for feted footballers to try their hand at improving the stock and image of the underdeveloped region’s football enterprise. The club didn’t as much dip into unchartered waters as nosedive headfirst into an ocean of footballing possibility by enticing the likes of Roberto Carlos, Yuri Zhirkov and Samuel Eto’o to the club – the latter becoming the highest-paid footballer in the world as a result of his capture. The headline signings were supplemented by less high-profile quality acquisitions such as Lacina Traore, Lassana Diarra and Jucilei, and suddenly, the previously plain Makachkala outfit were attracting appreciative glances from all over the world. Anzhi, helped by the goals of Eto’o, claimed the final Europa League spot in the 2011-12 Russian Premier League season and have begun promisingly in their second outing as a European force. After repulsing the UEFA Cup crowd in 2001, the 2012 Anzhi outfit are certainly more attractive than their previous flight into Europe and, through the common language of money, have been welcomed into the competition as a stunning force to be reckoned with. Back in their native Russia, Anzhi are less well-received and attract negativity from fans of other teams in the Russian Premier League as they swoop to the top of the domestic standings. The public image of Dagestan is still a poor one and this has prompted Anzhi’s Europa League games to take place at the Lokomotiv Stadium in Moscow, where fans of local football clubs have gone to vent their abuse at a team representing a region viewed upon as a poor relation to the rest of the country. Jealousy is evident in the offended Russian clubs’ anger at Anzhi’s sudden, and artificial-like, transformation from a harmless ugly duckling to an interfering fully-fledged swan. The club looks comfortable in its new guise and, with plans for further tweaks to the aesthetics of Dagestan to be implemented by Kerimov and a Champions League spot in Anzhi’s sights, Russian football’s top pond has a new addition. It may have needed plastic surgery but Anzhi Makhachkala’s unusual journey sees Russian football’s black swan take to Anfield tonight confident in their role as European outsiders eager to knock English football’s proud old Liver bird off its perch. This entry was posted in Previews and tagged Anzhi Makhachkala, charlie brooker, lacina traore, liverpool, rangers, roberto carlos, russian premier league, samuel eto'o, suleyman kerimov, yuri zhirkov by Andrew Belt. Bookmark the permalink.